Responsibility—it’s a theme for most of us as we go throughout the year, trying to get healthy, get ahead at work, and get our lives in ship-shape order. And when it comes to keeping your car safe, sometimes it’s the little things that count, like making sure your view from the driver’s seat is clear in all directions. Car commuters put their cars to almost every use imaginable: to get to and from work, school, the grocery store, run numerous errands, grab a bite to eat, and more. Since your car can be your home away from home while traveling, you will want to take some precautions to protect it and also the things inside it. Ideally, you wouldn’t leave anything valuable at all in your car, or risk the safety of your family, but the reality of travel is that your car is going to serve as much like a safe deposit box or luggage storage closet as transportation. Read on for nine tips to help you protect your car from collisions while driving and theft while traveling. 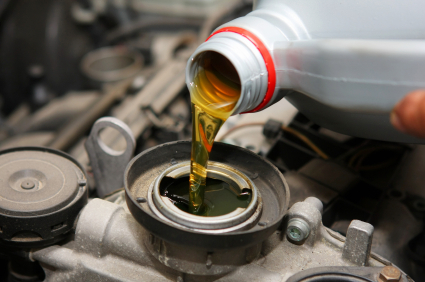 Check fluids – Check oil, brake, and all other fluid levels such as coolant, washer fluid and others. Your owner’s manual tells you when fluids must be checked, but this is just the minimum to keep your warranty in effect. Mark your calendar, or just check the fluids frequently, especially before you travel on vacation. Check the tire tread – The penny trick is the easiest way to make sure your tires still have enough tread to grip the road safely. Test your tread in several places by inserting a penny into the treads with Lincoln’s head pointing downward toward the center. If you can see Lincoln’s whole head and all of his hair, your treads are down to 2/32” or less—time for new tires! For wet-weather driving, you’re safer replacing tires when your treads are down to 4/32”; use the same coin test but with a quarter and Washington’s head instead. Few consumers know that there is a dealer-coded date on tires. Check yours and don’t drive on them if they are over six years old. Air up your tires – Speaking of tires, every 10 degrees Fahrenheit that the temperature drops causes tires to lose about 1 pound per square inch of pressure. Don’t let changes in spring or summer weather catch you with wimpy tire pressure. Follow the recommended pressures for your car indicated in your owner’s manual. Install child seats – If you have children, install child seats in the back, making sure that seat straps hold and harnesses lock. Check the instruction manual to make sure the carseat is compatable with your car and is correctly installed. Also, check you carl’s guidelines on weight, height, and age requirements for the front passenger seat. Don’t allow any child younger than the guidelines for your car or state to ride in front. Have an emergency kit – If you don’t already keep an emergency kit stashed in your trunk, now’s a great time to get one put together. A useful emergency kit could include a blanket, a plastic jug of water and some food, a flashlight, a first aid kit, paper towels, spare windshield wipers, flares, jumper cables, a basic tool kit, a tire gauge, and a fully aired spare tire and tire-changing equipment. During the wintertime, add extra gloves, an extra set of warm clothes and boots, tire chains, and a small shovel plus a bag of something like sand, salt or kitty litter you can sprinkle to add traction if you get stuck in snow. 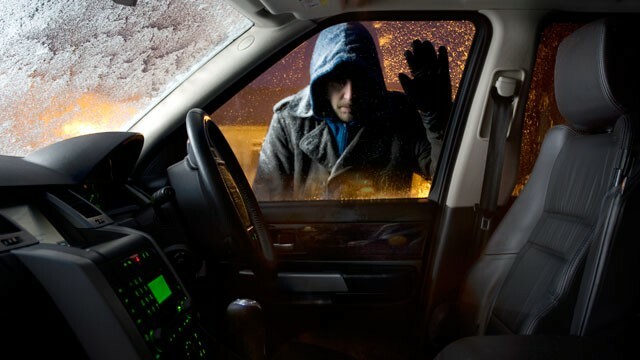 A neat car is less likely to get robbed – A car that is filled with jackets or beach towels that appear to be covering items of value, or that has wires sticking out here and there suggesting that electronic devices may also be stowed, are much more likely to attract interest. If a potential thief sees nothing but car upholstery, he or she is less likely to be curious about what might be hidden in the car. Check for your valuables as soon as you return to your car – Notwithstanding our second rule above, if you have any suspicions, you will want to make sure nothing was stolen before you pull out. If your car does get robbed, you want to figure it out at or near the location it was robbed, in case you have to file a complaint. When surveying your vehicle, keep in mind that thieves know what to take — often items you won’t notice until you are long gone. For example, a common tactic is to take a camera out of a camera bag, but leave the bag behind; it looks like it was undisturbed so you won’t figure it out for hours or days. Use a parking garage – Parking on the street is the most vulnerable place to be, so if you are uncomfortable with your street parking options, by all means use a parking garage instead. Although you are safer in a parking garage, that does not mean that you are invulnerable; certainly enough travelers get ripped off by garage personnel everywhere. Remove or lock up any really juicy items — GPS units, accessories for your cell phone or MP3 player, a loose E-ZPass apparatus — in order to remove temptation. All of the same precautions above apply; no matter where you park, make it as difficult and uninspiring to potential thieves as possible. Confirm that basic parts work – Confirm that all lights, especially brake lights, are working. Install brighter headlamps if yours are fading and clean the lamp covers. Replace wiper blades each year and check the blade pressure on the glass to confirm full contact. Fix windshield cracks and chips or replace the whole windshield. Have a full diagnostic done on your car’s computer if you have high mileage on your car. Having car safety is more than just being a good driver. 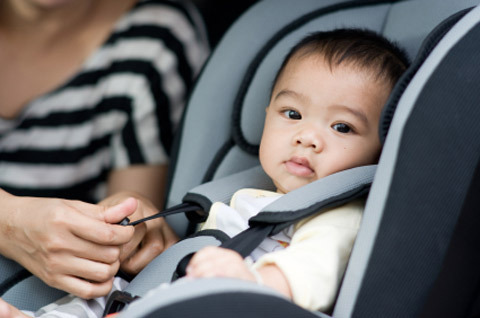 Make sure you are taking care of your care, being safe while traveling, and keeping your most precious cargo – your kids – as safe as possible with the right safety equipment. If you follow these tips, the less likely you are to have a car crash or be vandalized and the more likely you are to stay safe on the road in any weather or season.